High-quality marine electronics should be IPX7, which means they can survive submersion. Whether you’re an angler or a hunter or a cruiser, with all kinds of boating, electronics failure is always a threat. Fishfinders, GPS units, VHF radios, and radar can all go haywire, and usually, at the very worst time possible. Here are three marine electronics snafus, and how to avoid them. 1. Glitchy Power – A lame power supply is the most common reason for the failure of your electronics. Green crud in the fuse box or power plug is the usual culprit. Get rid of it with a blast of WD-40 and a gentle scrub with a toothbrush. Prevent it from coming back by giving the connections a spritz of Corrosion Block, Boeshield T-9, or another good corrosion inhibitor. 2. Crappy Connectors – Don’t you hate the cheap plastic connectors found on so many fishfinders? With time and exposure to the sunlight, they get brittle and stiff. And if they break, you’ll probably have to replace the unit. Avoid this issue by spraying the connectors with a product that replaces and/or protects plasticisers (which keep the plastic flexible but leach out of the material due to UV exposure exposure,) such as Plexus. 3. Water Intrusion – If moisture gets inside that unit, it’s done for. The first step to prevention is buying smart in the first place. 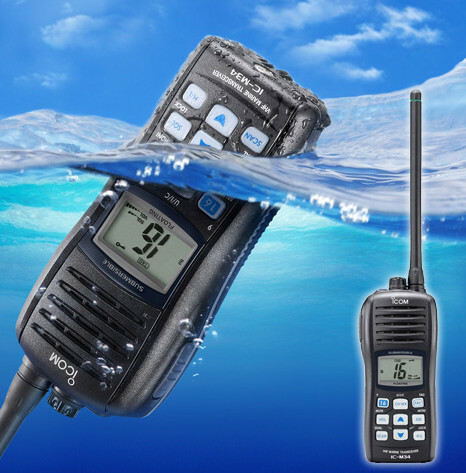 Make sure all the marine electronics you buy are rated at least IPX6 (stays dry inside even when blasted with pressurized water), and IPX7 (survives submersion in one meter of water for 30 minutes) is a whole lot better. Units that are rated IPX4 or 5, which are commonly called “splash-proof” are doomed to an early death, especially on small, open boats. If your unit does get water inside for any reason, treat it as you would a cell phone: don’t try turning it on and off (which can increase the damage being done). Put it in a zipper-lock bag full of dry rice, and let it sit for two or three days. The rice will pull the moisture out of the unit and it might—might, not will—come back to life.